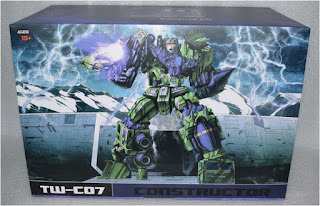 At the start, like many new collectors, I would basically buy most of my toys from local retail stores around my area. And when I say “local” I mean here in Metro Manila, Philippines, where I live. 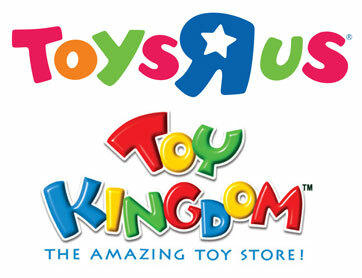 Over here the main retail stores are Toys R’ Us and Toy Kingdom and they do a fairly good job on stocking up on all the latest official mass release products from Hasbro and other international toy companies. 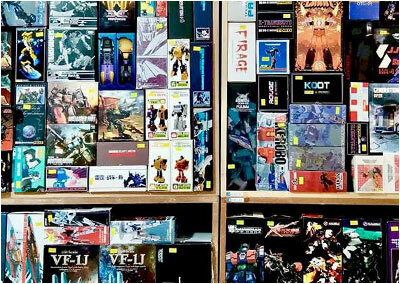 Unfortunately, these retail stores are popular targets for toy scalpers who hoard all the hard to find figures to sell them at a higher price on the secondary market. So for the harder to find toys and less mainline ones, I eventually turned to hobby/specialty shops in my area. Unlike a typical retail store, hobby stores are more specialized and thus service a smaller customer base. This in turn leads to more quality interaction between the customer and the shop owner or seller. Making hoarders les of a problem here. In Metro Manila, one of the most popular go to destinations for toys is a place called Greenhills Shopping Center, which is home for a good number of hobby/specialty shops. 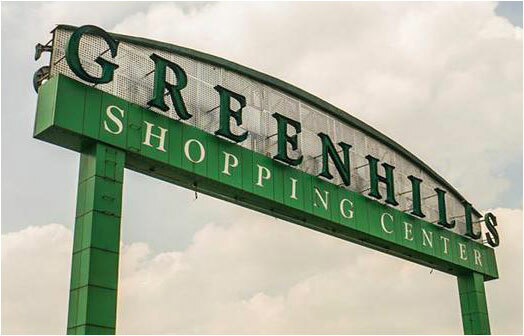 Although I don’t really live that near to Greenhills, I make it a point to make the trek there on a regular basis. 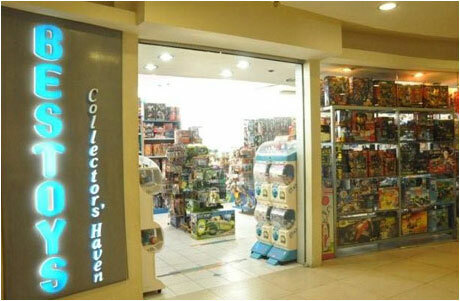 So for my early collecting years, I basically relied on retail stores and Greenhills for all my toy needs. But just like anything in life, the longer I was in the hobby, the more I learned about it and met more specialized sellers to help me get better deals. Nowadays, although I still visit Toys R’ Us and Toy Kingdom regularly, it’s usually more out of habit and I usually don’t end up getting anything. Most of my toy purchases now are done through online sellers, many of whom sell via pre-orders. 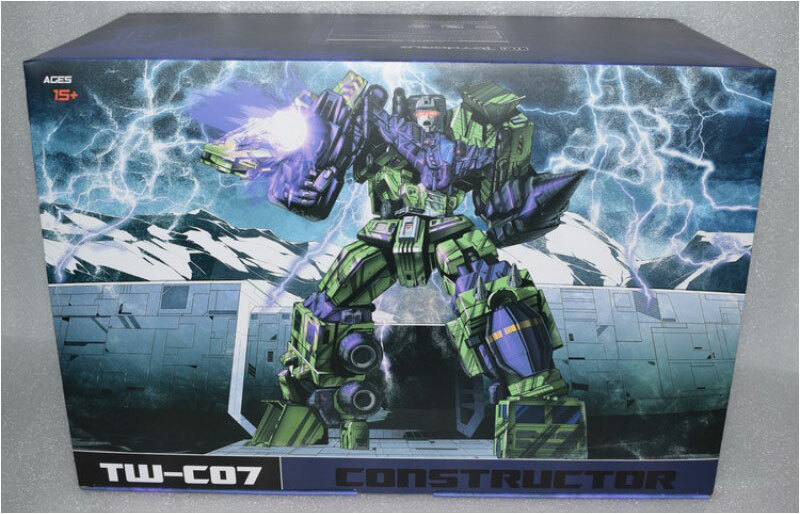 This way I basically am assured to get the toy I want, and more often than not at a discounted pre-order price. Anyway, I’ve rambled long enough, on to the main part of this post, which is a rundown of my favorite online sellers. All these sellers I deal with are on Facebook so feel free to check out their pages and send them a message in case they might have something you want. I highly recommend all of them. 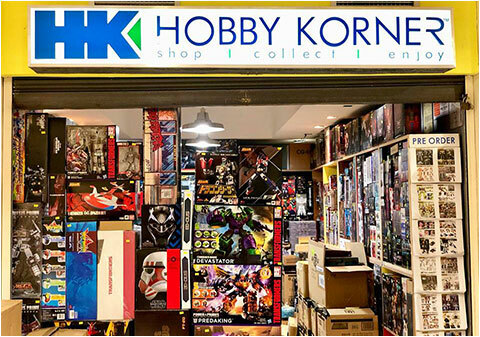 Ok so this guy is quite unique wherein he is based in Hong Kong which in my opinion is the best toy hub in Southeast Asia. And because of that, King usually is one of the first online vendors to put up pre-orders for upcoming toys. And don’t let the fact that he’s based in HK turn you off to him. He’s got a well organized system of regular shipments of orders back to Manila for all the toys he sells. Once they reach Manila, his brother takes over and conveniently arranges meetups or shipment of your items to your doorstep. Oh and if you are planning a trip to HK send him a message! 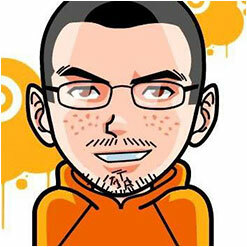 He’s a really nice and friendly guy who’s more than willing to show you around the HK toy scene. I finally managed to meet him when I was in HK last year, and although we didn’t go toy shopping, we still managed to sit down for a bit and talk toys and he pointed me to specific shops to go to. Although I’m sure he doesn’t really remember, I first met Heron when I came across his booth at a Toy convention a few years back. I was really impressed with what he had on display for sale which was a lot of the stuff I’m into. At that time though, he mostly catered to collectors based in the northern area of Metro Manila...I lived in the south so I figured I wouldn’t really be buying much from him. All things changed though when he opened his own shop in Greenhills and since then he has become one of the most popular sellers there. His shop is also not hard to find as it is almost always overflowing with boxes and boxes of product. One thing worth mentioning about Heron is that he has a bit of a gruff sense of humor, which may sometimes be taken the wrong way. But he’s really a good guy once you get to interact with him more. He has a no-nonsense approach at selling toys which I like! Mark is one of the nicest guys I’ve come across in my toy collecting hobby. 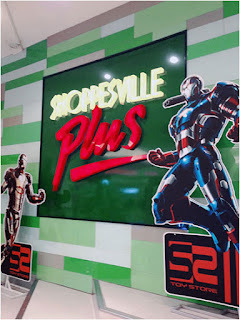 Like most online vendors he also conveniently has a store in Greenhills, but for me, there are two main things that distinguish Mark from most other vendors. First is that while he also sets up pre-orders, he almost always doesn’t ask for an initial down payment. He relies on the buyers honesty that they will follow through and purchase their order when it arrives. And secondly, he’s my go to guy for getting some of the older harder to find items. They may take some time to arrive, but he has yet to let me down. He also always constantly updates when there are shipment delays. 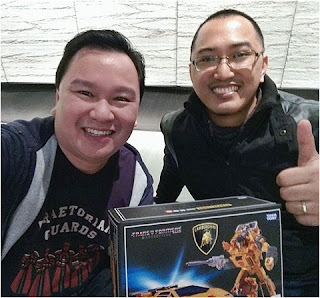 If you are a toy collector in Manila and you don’t know who this guy is, then you my friend are not a true toy collector. This guy is a legend in the local toy collecting scene. I got to know Eric (like many collectors I’m sure) through all the toy launches he would set up in Toy Kingdom and Toys R’ Us. See in an effort to combat scalpers and to make sure collectors got to get the toys they wanted, Eric would work with the management of these retail stores to set up events where new releases could be officially sold & distributed in a fair, controlled way to as many collectors as possible. It really was a thankless job as he would stay in the store for most of the day. 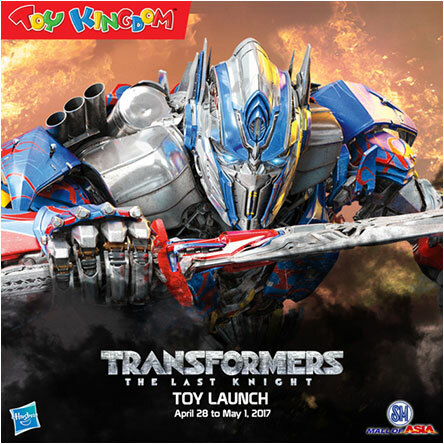 Aside from these launches though, Eric also maintains close ties with Playkit, the official distributor of Hasbro and other international toy company products in the Philippines. 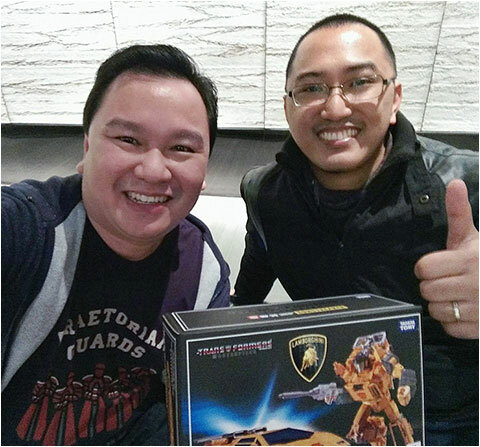 So he’s usually “in the know” of when certain toys are set to be released and he usually gives heads up to members on his FB group, Cybertron Philippines. And if that wasn’t enough, he even goes as far as to set up pre-orders as well, mostly for Marvel Legends and Star Wars Black Series. Eric has really gone above and beyond to make sure collectors like myself get their toys which is something I truly appreciate! When I first started out this hobby, like I said the only interactions I had were with the retail shelf and the occasional salesperson. But as the years went on, toy collecting became more personal. Sure it was great getting all these toys through the years, but collecting also opened doors to starting new friendships with fellow collectors and sellers, making this hobby even more enjoyable and worthwhile. with the KING of HK! There are a whole lot more other sellers and shops out there. With newer ones coming up every month. Of course despite my many numerous positive experiences, one always has to be careful especially when it comes to online sellers. It’s always good to ask around for feedback and recommendations from other collectors as there are scammers out there...I learned that the hard way. But like I said in the beginning, these guys that I wrote about are the ones I buy pretty much all of my toys from and I highly recommend all of them. Take your pick...you really can’t go wrong.